I was giving my compost tumbler it’s annual coat of wood protection yesterday and thought it would be a great opportunity to show you guys how I made it so maybe you’ll feel you could have a go yourselves. I have to say that this tumbler works so much better than the other two plastic box type ones I bought, I think it has something to do with how easy it is to tumble this one and aerate the goodness inside. I didn’t take photos of each stage because I made it before blogging so I’ll try not to make this too confusing but if you can manage to fathom the steps out from my tutorial, write them down, familiarise yourself with them and you could make this in a day. It took me 2 days but only because I had to work stuff out as I went and I never organise myself beforehand – I looked for tools and materials as I needed them. Here’s the finished piece – it’s no work of art but it’s efficient and not too difficult to make. I got inspiration for the design from a web page but unfortunately I didn’t keep a record of that page and cannot find it now – if I do happen to find it though I will of course post it on here. Scrap wood – 3x2” for frame, batten for frame plus scrap boarding for drum sides. Plastic drum – cleaned of it’s contents. Scaffold pole or some other pole about 2ft longer than the length of the drum. Length of plastic pipe / tubing, about 4-5” wider than the width of the drum. Piece of metal gauze or even a piece of that green netting used for fences will do. As you can see I used substantial wood as it has to hold some weight (that’s not a bow in the wood it’s the camera – honest!). Using 2 lengths of wood for each side I created 2 crosspoles. The cross points of the two pieces should be high enough that you’re not breaking your back bending when you rotate the tumbler. Both pieces were bolted together with nuts, bolts and washers (I used an electric drill to pre drill the holes). I made it so that my pole sat snugly in those top crosspoles so that when I turn it it’s the tumbler that turns and not the actual poles as the poles may end up moving off the cross poles. Then I added 1 piece of scrap wood to the bottom of each X to help retain the shape and to just help support it. If you look at the above image you’ll see that these bottom pieces of wood are screwed from outside to inside of the X frame. Next I screwed on two scrap pieces of wood across the back to hold the X pieces upright and in the right position – you need to measure your plastic drum and add clearance either side of it when deciding how far apart to place the ‘X’ posts. There’s no scientific rule though on how much clearance, just go with what you think. Give the whole frame a protective coat of creosote substitute. Now onto the tumbler itself. I managed to get hold of 2 of these containers. I looked up on Google what they contained (chemical signs make no sense to me) and found them to just hold detergents so after a good scrub (once the door was cut obviously) they were good to go. First off I turned the container onto its long side and marked in pencil a square opening in the centre - this square needs to be comfortable enough to get the compost out of. I then drilled a hole in the corner of the pencil square big enough to get my jigsaw blade in to then cut the square out – keep the square, it’s the door! Next I turned the container back up on its end and drilled out a hole in the centre of the top the same size as the circumference of a scaffold pole (or other metal pole). I then turned it over to the other end and did the same thing. At this point just insert the pole to make sure the hole is correct in size and place, then take it out again and set the pole aside. Next we need an air vent so turn the drum back onto its long side and drill a hole in the centre just above the door opening you made. This hole needs to be the same size as a piece of plastic tubing so measure the circumference of your tubing first. Roll the drum over to it’s other side and drill the same hole again. Check that your plastic tube fits straight through the top hole and the bottom hole you just made, then remove the tube. This tubing now needs to have several small holes drilled into it along it’s entire length – these holes will help aerate inside the tumbler. To fix this now holey pipe in its place, slide it back into the tumbler through your drilled holes – it needs about 1 – 2” clearance on both ends. To stop this tube simply slipping back out insert a bolt and nut through a drilled hole on it where the tube enters and exits the drum (on the outside of the drum obviously). This then prevents it moving. Next we need to make a rake for inside the drum to help mix the stuff we put in there. For this I used a piece of scrap batten and hammered long nails all the way along the length of the batten. This batten is then secured inside the drum by screwing it in place from the outside of the drum. Although my rake fits the entire length of the inside of the drum, you have to make it in 2 shorter lengths because one long one will not go through the door opening. This shows the rake at bottom, drain hole at bottom, main scaffold pole left to right & air tube top to bottom. We also need to drill a drainage hole in the bottom of the drum. I drilled a fairly big hole and then simply cut a piece of wire gauze and secured it over the top of the hole (from the inside) just so the hole didn’t block up with compost. You can see my drainage hole in the above photo – it’s the black gauze just below the rake. Now go back to those holes we drilled top and bottom of the drum for the scaffold pipe - We need to reinforce the outside of these holes so that the turning of the drum doesn’t just wear them away or split the plastic drum. I used scrap wood and cut out 2 blocks for each side, these were then secured together and a hole drilled through them the same size as the scaffold pole. These were then secured to the drum using bolts and nuts – I kept nuts on the inside but the preference is yours. Finally go back to that door you cut out and set aside and attach one side of your hinges to it with bolts and the other side of the hinges on to the drum just above the square opening you cut, again using bolts. To keep the door closed I found a couple of clasps that I attached to the door and the drum but you can use whatever you find or whatever works. I also added a couple of metal handles - 1 just above the door and 1 further round, this is how you turn the drum. Finally slide that scaffold pole (or whatever pole you have) straight through its holes which are top and bottom of the drum (and which now becomes the sides of the drum), and lift each end onto the cross poles of the frame you made. All you have to do now is make sure your site it on level ground – I didn’t at first and the drum moved to one end – and then start filling it with all those composting goodies. Turn it as often as you remember. I’m sorry if this tutorial was a little confusing, I’ve tried to make the steps as simple as they are but as long as you get the basic concept you should be able to produce it. Thanks for staying this far, hopefully you're not too confuddled and will come back for more! I need one of these so bad! You did a great job! This is a great tutorial and it's so good for letting the air into the compost. I used to own a proper tumbler ........years ago. I just popped over from the edit me challenge to see who had sent in such a beautiful scene. I also wanted to find out if you were in Scotland when you said "up from England". Anyway could you get in contact with me via email? as I would love to feature the gardening side of your blog. I have been reading over your blog. You have a lot of great information. This is my first time here and I hopped over from the hop. I would like to invite you over to my blog (if you haven't already) for my free seed give away! Click here to visit The Key To Taking Pictures. This is a Flickr badge showing public photos and videos from lindaclaxson@btinternet.com. Make your own badge here. Hi there, I'm Linda, thanks for popping in and taking a looksee at my blog. 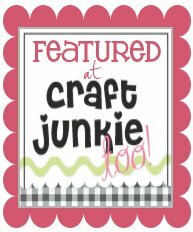 I blog about my Crafting projects and Gardening and will be adding a Photography section plus probably a couple more - you know what we Bloggers are like once we get Blogging! So have a look around, click those links, or leave comments, I always try to reply to comments or emails as I love getting em! To find out more go to 'About Me'. 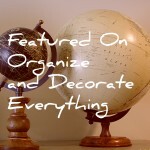 Blogs / web pages full of crafting inspiration.